H.P. Lovecraft was a writer of horror in the fashion of Edgar Allan Poe. However, he did not enjoy the history of followers like the author of "The Raven" seemed to revel in. Vincent Price was able to portray one of Lovecraft's evil characters with excellent vision, similar to his work in Poe's "The Raven" movie. 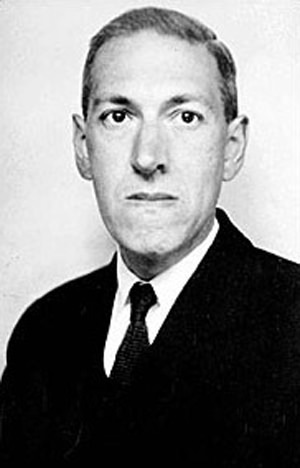 Lovecraft had a penchant for drawing a listener to the perceived denouement, then back off a bit to commence a new growth of inner fright becoming a rise. That is how it worked with the radio programs as the character of spotlight would cause the listener to close their eyes and hide under the blankets, even though the only sinister happening was on the radio. As Lovecraft like to elucidate, "Fear of the unknown" was what stood between entertainment and "freaking the tarnation" out of the audience member. The music begins eerie....sinister....stirring. Love craft felt that the world had its beginning with another race of creatures. Rats in the Walls displayed his mind that would have driven many a person mad.The narrator relates how his ancestors had been accused of murder slaughter. The family emigrated from Europe and his beginnings in America. Mystery seemed to follow the man as he travelled back to England to the family home, where the wicked beginnings had began. After purchasing the property, he was determined to reestablish the old priory. It had been burned to the ground by the ancients and after 3 centuries of abandonment and legend, the new owner has much to battle...including the old legacy. Locals are not too friendly with the heir of the former owners back and trying to re-build. The curse seems to bring howlings, ghoulish crying and the history is related. It is to be listened to...to learn about the ...rats. "Drop...drop...drop..." The water dripping sets the tone of this sad tale of the narrator reminiscing of not knowing his past, only the damp and hideous battlement he grew-up in. The narrator makes you pity, yet fear him. His words of melancholy as he relates the architecture of the and harrowing design of the one "tower" that overshadows the castle. He remembers only his presence growing up there...whether it be out of loss of memory or the fact no one did aid him in his growing. The voice of the narration leads the listener to wonder about his ancestry...if it was even of this world. His world included skeletons that lay in the crevices and hallways. The books that were present became his "recollection". was he the outsider? HP Lovecraft could make the bravest soul cower in anticipation with his lore and tales. The radio programs played, to the hilt, the creepy and endless fear that could titillate the listener. Shadows become haunts and black becomes drapes...welcome to the world of H.P. Lovecraft. Be the first to comment on "HP Lovecraft"